Shadow of Mordor looks like a rather brutal game. Not brutal like an Iron Maiden album cover, but brutal like a shiv being shanked up your sides kind of violence as you serve time in jail for organising a One Direction tour to South Africa. 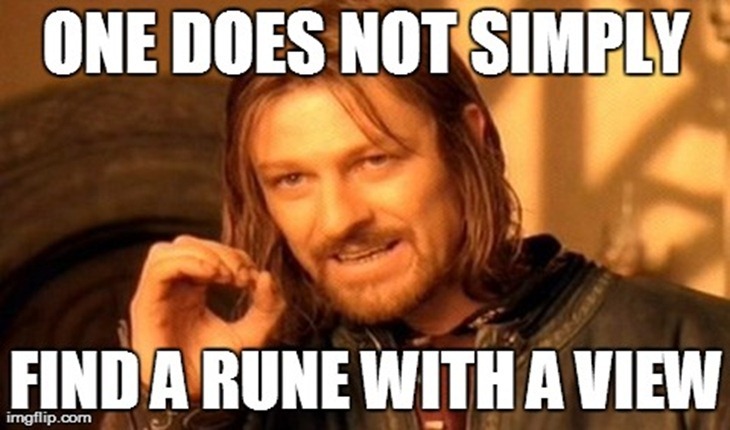 Part of that violence though, comes from the Rune system that the game uses, laddie. Here’s the latest trailer showing off Talion and his arsenal as they work their way through Ork flesh. Runes are items in Middle-earth: Shadow of Mordor that add powerful buffs to Talion’s bow Azkâr, Talion’s dagger Acharn and Talion’s sword Urfael. These runes can be obtained by vanquishing enemy captains. Exploiting the weaknesses of an enemy will influence the type of runes that drop, and combining different runes will increase the power of Talion’s weapons in different ways. Betrayer – Increases all weapon damage by 35% when hitting an enemy from behind. Smite – Recovers 100% Focus on Combat Flurry kills. Storm of Battle (Epic Rune) – Boosts all sword damage by 50%. Strength from Courage – Recovers 25% Health on a Combat Flurry kill. Locally, expect at least one of those runes to make it to our side of the world. Hopefully. Game is out on October 7, for Xbox, PlayStation and PC. Next article Win an X-MEN: DAYS OF FUTURE PAST hamper with Mountain Dew South Africa!